DittoSnaps offers a variety of themed booths that will add a certain ambiance to your event. Please select a theme below that will fit your needs and enhance the décor of your venue. 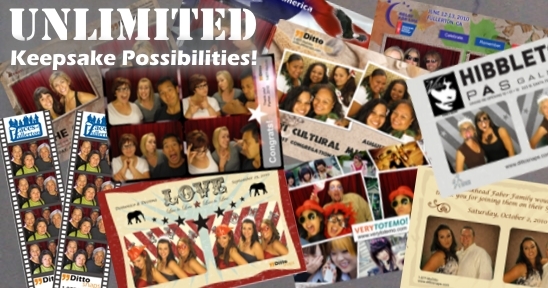 You want the fun of a photo booth but your event is a bit more formal. DittoSnaps has a solution for you. Introducing the Country Club Booth. 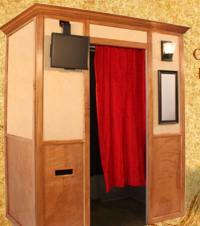 This booth will fit elegantly into any décor and add ambiance to the event. From weddings to class reunions and birthday parties, we know that you will love this new design! Free delivery and pickup within our standard service area. Unlimited prints for the duration of your contract period. Elegant exterior look or choose from available party themes. A real booth, yet ultra portable. Designates a Standard Feature accross all packages. Choose from one of our many templates, or create a custom keepsake design for your special event.